Hiring managers receive dozens — sometimes hundreds — of résumés for any given opening. They don’t have the time or resources to review each one closely, so they spend approximately six seconds on their initial “fit/no fit” decision. 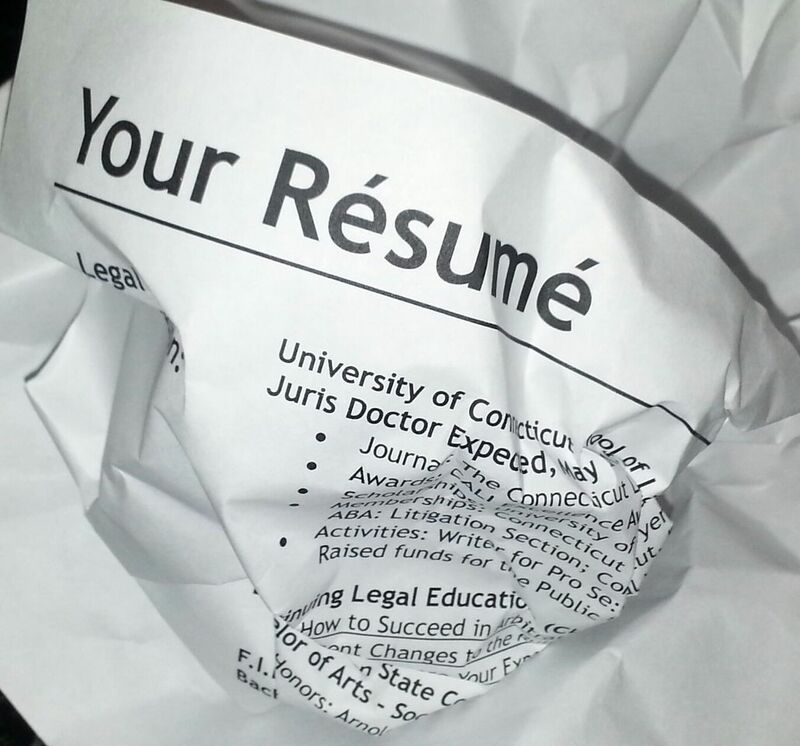 You may be perfect for the job, but if your résumé has just one typo, if it’s formatted poorly, or you use the wrong font, it could easily end up in the “no” pile. As Alyssa Gelbard, career expert and founder of career-consulting firm Résumé Strategists, points out, however, past work experience that might not appear to be directly relevant to the job at hand might show another dimension, depth, ability, or skill that actually is relevant or applicable. This might have been the standard in the past, but all of this information is now illegal for your employer to ask from you; so there’s no need to include it. She recommends lots of white space and no more than a .8 margin. 10. Present tense for a past job. 11. A less-than-professional email address. 13. Your current business-contact info. 16. Social-media URLs that are not related to the targeted position. 21. Reasons you left a company or position. 23. A photo of yourself. This may become the norm at some point in the future, but it’s just weird (and tacky and distracting) for now. Avoid including a job on your resume if you only held the position for a very short period of time, Gelbard says. You should especially avoid including jobs you were let go from or didn’t like.